We've all been there: an Excel spreadsheet smeared across a presentation slide and someone mumbling into a microphone while you check your email just to stay awake. It's presentation hell, and it doesn't have to be this way. Join Scott Schwertly, Ethos3 design agency's founder, in this webinar as he shares an easy-to-implement approach focused on engaging content, personal storytelling and effective design elements - the holy trinity that leads to godly delivery. As founder of presentation design firm Ethos3, Scott Schwertly knows the difference between a great presentation and a great reason for an audience to take a nap. 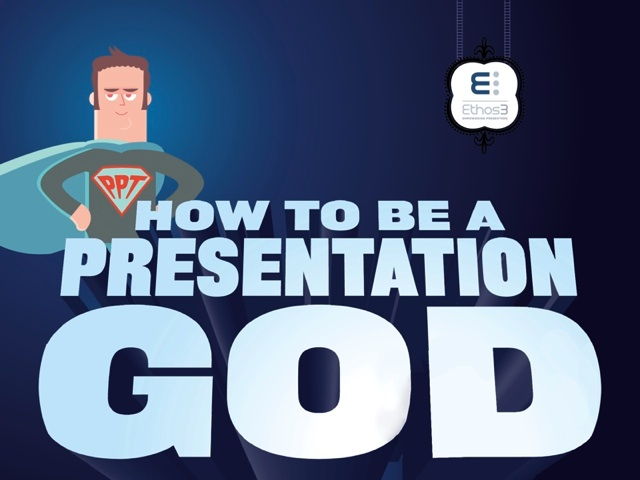 He has authored a fantastic book on How to Be a Presentation God and is excited to be sharing this knowledge with you.